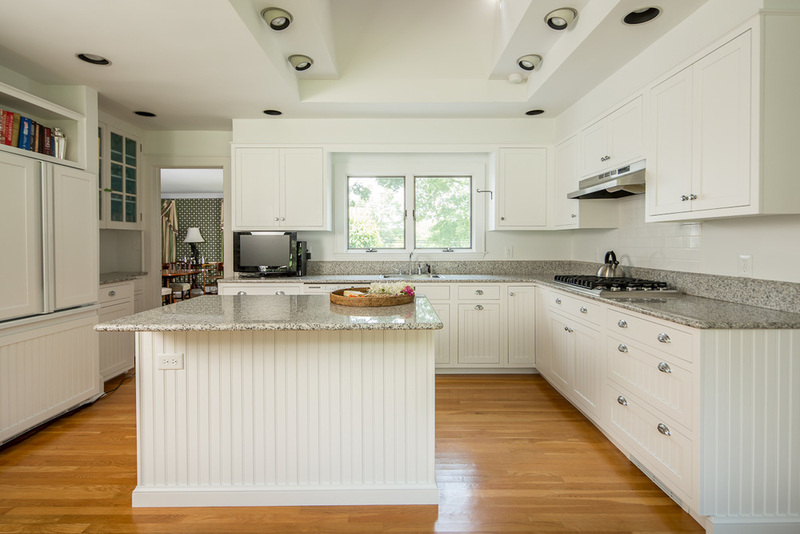 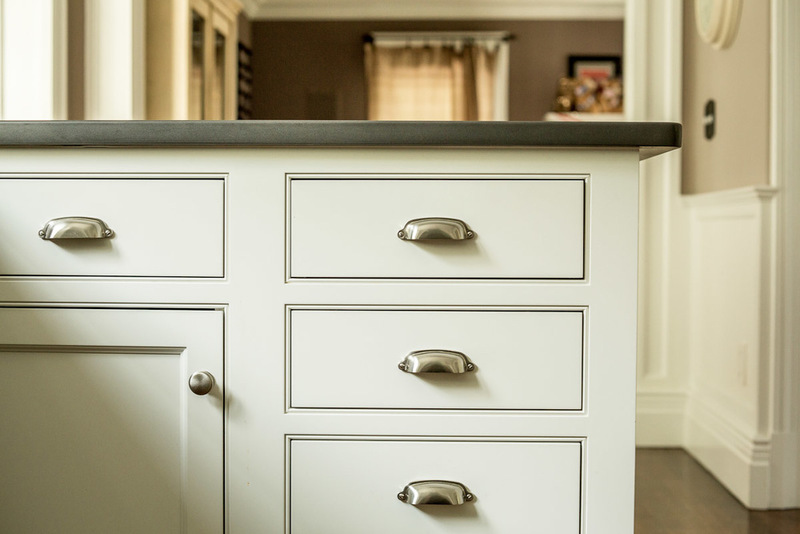 To complement our client’s uncluttered and functional lifestyle, we replaced this Bedford NY kitchen's 1980’s Formica doors with bright white doors in a classic style. 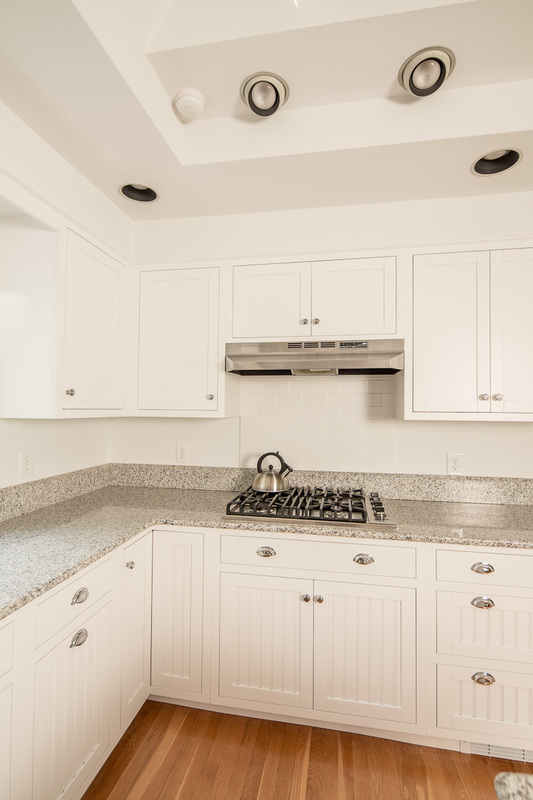 Our process allows us to preserve our client’s existing granite counter top and rich wood floors; an economical and practical savings. 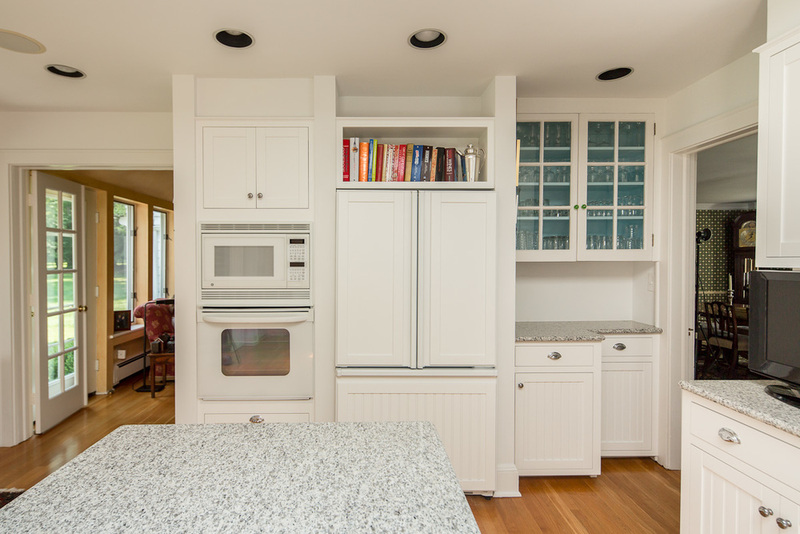 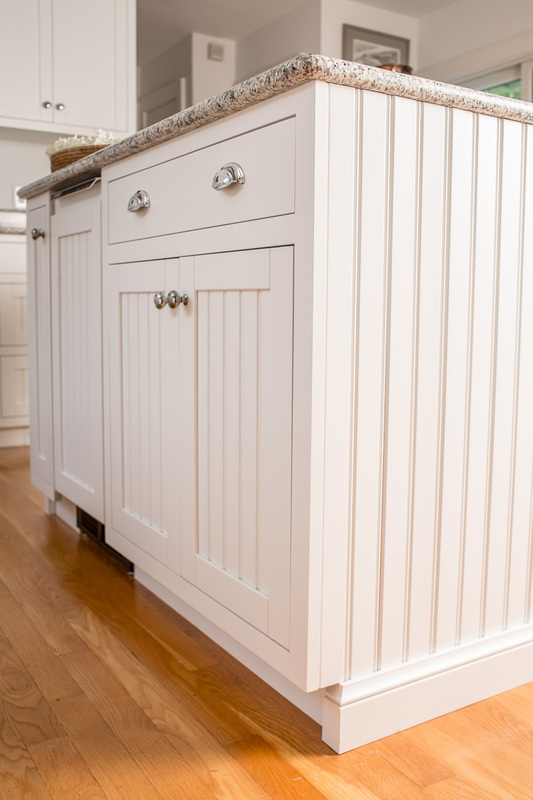 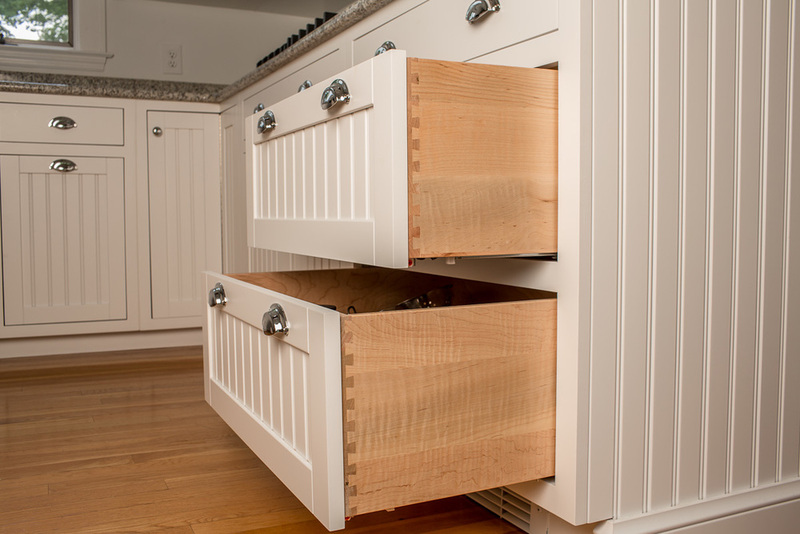 Coupled with the functional layout, we were able to seamlessly integrate the kitchen cabinet sides and doors using beadboard paneling. 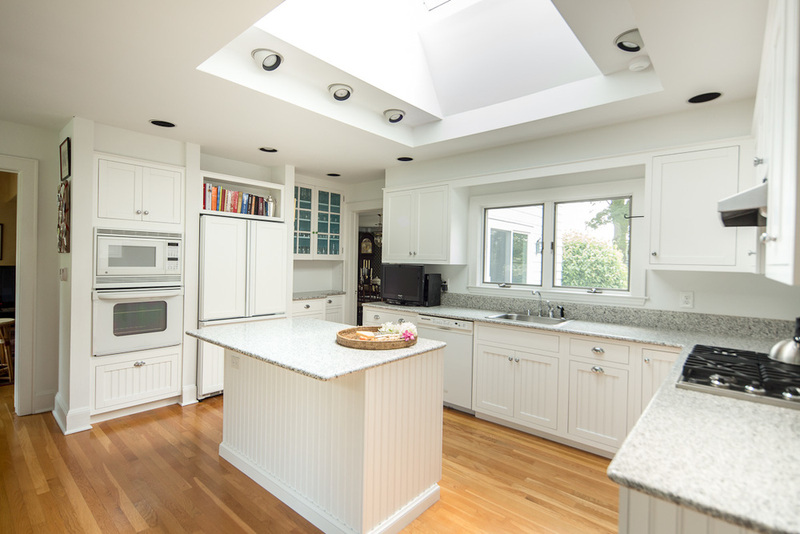 The result is a harmonious blend of traditional Nantucket with modern styling elements.